According to Psychology Today, the homeless are defined by U.S. federal legislation as people who "lack a fixed, regular, and adequate nighttime residence." 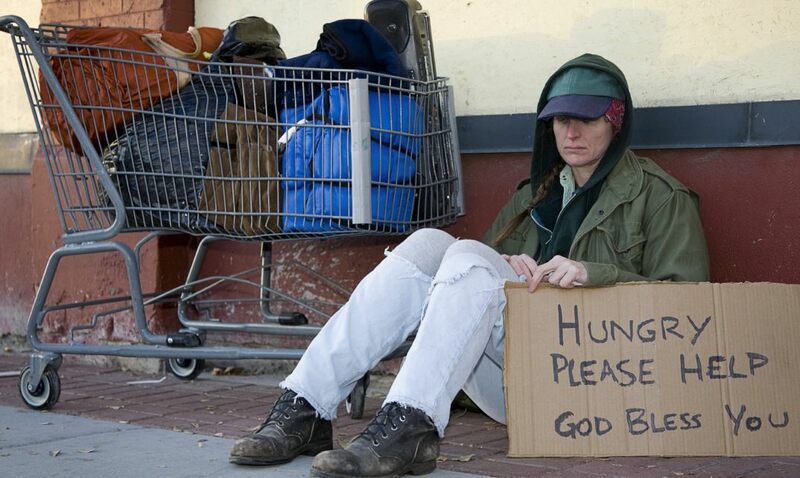 Did you know that in one of the richest countries in the world, on a single night in 2017, 553,742 Americans were homeless? That means that for every 10,000 people in our country, 17 were experiencing homelessness. While we can all agree that no veteran should be homeless, the sad truth remains – some veterans still are. As explained by The National Coalition of Homeless Veterans, there is complex set of factors involved in veterans’ homelessness, such as an extreme shortage of affordable housing, difficulty finding and obtaining a livable income and access to health care. Additionally, a large number of displaced and at-risk veterans live with lingering effects of post-traumatic stress disorder (PTSD), substance abuse and moral injury. Military training and experience is also not always transferable to the civilian workforce, placing some veterans at a disadvantage when competing for employment. A top priority for homeless veterans is secure, safe, clean housing that offers a supportive environment free of drugs and alcohol. What charities or nonprofits in the U.S. are helping these homeless veterans? Interested in supporting a charity or nonprofit that helps homeless veterans? Below we highlight five charities assisting homeless veterans in the U.S. You can find additional nonprofits by conducing a search on the Better Business Bureau's Wise Giving Alliance site. Disabled American Veterans (DAV): Disabled American Veterans (DAV) helps veterans "lead high-quality lives with respect and dignity" by ensuring they and their families "can access the full range of benefits available to them," according to the organization's mission statement. In fact, in 2017, DAV helped attain more than $4 billion in new and retroactive benefits to care for veterans, their families and survivors! The DAV Homeless Veterans Initiative also promotes the development of supportive housing and necessary services to assist homeless veterans in becoming productive, self-sufficient members of society. IAVA (Iraq and Afghanistan Veterans of America): Iraq and Afghanistan Veterans of America (IAVA) was founded by an Iraq veteran in 2004 and is the non-partisan leader in advocacy, public awareness and 1-on-1 case-management support. IAVA has connected more than 1.2 million veterans with resources and community, and provided thousands of veterans of all generations with life-saving and life-changing personalized support from IAVA's Master's-level social workers. IAVA’s broader, comprehensive Policy Agenda includes a focus on homelessness, veteran employment, equality, service dogs, a national memorial for their generation and much more. National Coalition for Homeless Veterans: The National Coalition for Homeless Veterans’ (NCHV) mission is to end homelessness among veterans. They do this by acting as the resource and technical assistance center for a national network of community-based service providers and local, state and federal agencies that provide emergency and supportive housing, food, health services, job training and placement assistance, legal aid and case management support for hundreds of thousands of homeless veterans each year. NCHV also serves as the primary liaison between the nation’s care providers, Congress and the Executive Branch agencies charged with helping them succeed in their work. NCHV’s advocacy has strengthened and increased funding for virtually every federal homeless veteran assistance program in existence today. U.S. Vets: Since 1993, U.S.VETS has empowered homeless and at-risk veterans to attain their highest level of independence, with specialized assistance to post-9/11 veterans, female veterans and veteran families. U.S.Vets is the nation’s largest nonprofit provider of comprehensive services to homeless and at-risk veterans. With 20 residential sites and 9 service centers in 13 cities across 5 states (AZ, CA, HI, NV, and TX), the district of Columbia and the territory of Guam, U.S. Vets provides vital services such as counseling, job placement, case management, employment assistance and drug and alcohol-free housing. Their mission is the successful transition of military veterans and their families through the provision of housing, counseling, career development and comprehensive support. At Volunteers of America, we are committed to ending homelessness for those veterans on the street and preventing others from becoming homeless by providing a wide array of well-designed and managed services to meet the specific needs of homeless veterans. Every night, we give veterans emergency shelter and, when they are ready, provide transitional and even permanent housing. Learn more about our services for veterans.